Want to know what it’s like to pull up a stool with the likes of Hemingway, Updike, or Capote? Curious how Jay McInerney takes his martini, or where to find Colson Whitehead’s favorite neighborhood bar? 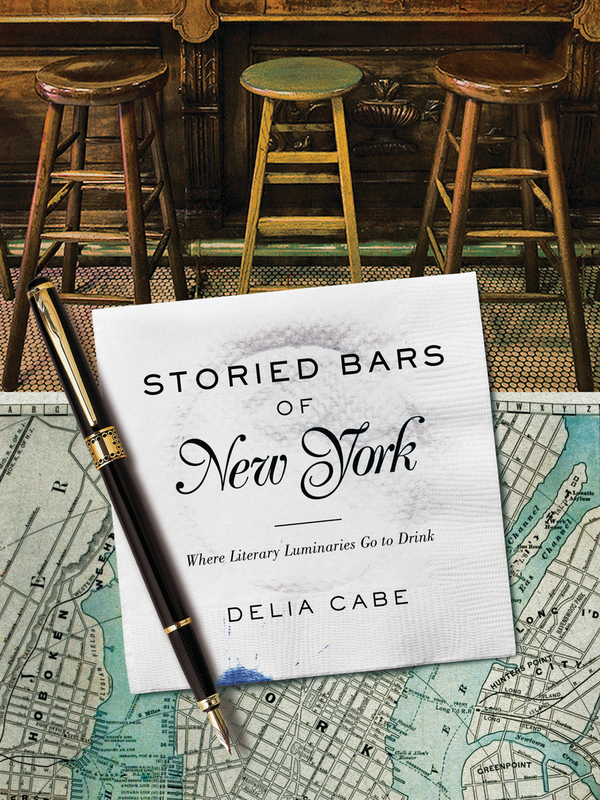 For well-read drinkers and boozy bookworms everywhere comes Storied Bars of New York, a photographic and historical celebration of the best literary pubs, cocktail bars, and taverns of New York City. Every chapter profiles an influential bar and comes complete with photographs, a laundry list of the writerly clientele, a recipe for the establishment’s signature cocktail (as well as which authors were likely to order it), and a snapshot of its place in New York culture at the time of its eminence, as demonstrated by quotes from authors and excerpts from magazine reviews. In a city where there is almost too much to explore, this guide will make finding your favorite erudite-cool drinking spot that much easier. Delia Cabe has written for Self, Prevention, Health, Boston Globe Magazine, Boston Magazine, Scientific American Presents, and other newspapers and magazines. An avid gardener, she lives in New England with her husband, Rob, and their two cats. She teaches magazine and column writing at Emerson College.